Feeling Stressed Out? Start Rewiring Your Stress Response Today! HomeCommunicationFeeling Stressed Out? Start Rewiring Your Stress Response Today! This month I read Nadine Burke Harris’s powerful recent book, The Deepest Well: Healing the Long-Term Effects of Childhood Adversity. A pioneering pediatrician, Dr. Harris is the founder and CEO of the Center for Youth Wellness in San Francisco. Watch her inspiring 2014 TedTalk here. Harris’s ground-breaking work about toxic stress has implications for all of us. We know that difficult experiences in childhood can impact one’s adult emotional, mental, spiritual, and relational health. In my clinical work with individuals and couples, I help my clients see how the positive and negative characteristics of our primary caregivers influence our image of love, our reactive behaviors, and our capacity to build healthy relationships. However, I never realized the extent of the impact of the past on physical health. Research in The Deepest Well confirms a direct link between childhood trauma and adult onset of chronic disease, mental illness, social problems, and work issues. Research defines toxic stress in children as long-term changes to brains and bodies in the absence of a buffering caregiver. Toxic stress is an unseen epidemic affecting every community, regardless of socio-economic status. 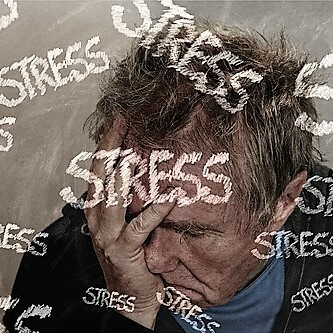 Repeated exposure to adversity and toxic stress causes dysregulation in the stress-response system which affects virtually every part of the body–the neurological, immune, hormonal, and cardiovascular systems. Too much stress activates the sympathetic nervous system, our fight-or-flight system, places the amygdala (the brain’s fear center) on high alert, and overheats the “cortisol thermostat” (the longer-acting stress hormone). Fight, flight or freeze hormones become toxic when they’re turned on for too long. How do you measure childhood adversity? Research shows that ACEs are incredibly common. In one study, 67% of the population had at least one ACE, and 12.6% had 4 or more ACEs. Early childhood adversity touches many of us. While this questionnaire is useful as a screening for health risk factors, it doesn’t calculate the positive experiences in early life that can help build resilience and protect a child from the effects of trauma. Having an adult who buffers the stress, perhaps a grandparent who loves you, a teacher who understands and believes in you, or a trusted friend in whom you can confide, may lessen the long-term effects of early trauma. Toxic stress can affect all aspects of our lives–how we learn, how we work, how we react in our relationships with colleagues, friends, and family, and what we create in our communities. According to Harris, ACEs and toxic stress thrive on secrecy and shame, at both the individual and societal levels. So the more we can normalize adversity as part of the human story and toxic stress as a biological mechanism the more we can prevent it and heal. The good news is that it’s never too late to start rewiring our stress response! Harris and her team created a clinical protocol to address ACEs and its many health impacts and developed a toolbox of simple yet powerful interventions. Learning to build healthy relationships, develop more mindfulness, and balance sleep, exercise, and a healthy diet takes time and practice. If you want to boost your response to stress and develop some of these positive habits in your life, please contact one of our Imago therapists now. We can help you!